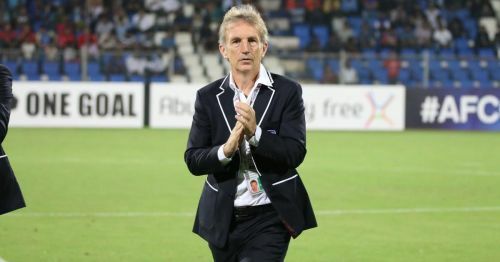 Albert Roca is a possible contender for the Indian national team coach position. Bengaluru FC has finally been crowned the champions of Indian Super League (ISL), after a season of tough competition. The header goal from Rahul Bheke in extra time was not just a milestone for BFC but for the whole Indian football community. Unlike the other seasons, 2018-19 was a year that brought about notable changes to the league. At the end of all these, ISL has a new champion and a bunch of things to build the national team upon. A group of young players is not the only thing ISL can offer to the national team. Apart from these, the Indian side can adopt various strategies and measures to improve performance on and off the field. By the introduction of this new league, Indian players were opened up to a new face of the game. From Romeo Fernandes to Lalrinzuala Chhangte, various players have received trials at foreign clubs. The players still playing in India were rejuvenated to Spanish and English football styles. The wait for Indian national team’s coach is nearing the third month. A new gaffer, who can be appointed any time has a lot to learn from the Indian leagues. Now we see 5 things the new Indian coach can adopt from Bengaluru FC’s maiden ISL title. Professionalism is something ISL has improved with every season, but the national team has kept out of the door. This would be the first lesson for India’s new coach as the national team too has been a reflection of this drawback. A club like Bengaluru FC has set an example to all other clubs in the country. They have a devoted fan group - West Block Blues, who accompany the club. The JSW-owned franchise has also been the advocate of European football culture in India. Out of all its activities, the social media engagements and pre-match build-ups keep the games active. Even at that point of time when the league itself found it difficult to find viewers, BFC had no trouble; thanks to its fresh professional ideas. Moreover, it has been the adoption of a new culture to Indian football that has drifted the Bengaluru people from European clubs to the local boys.